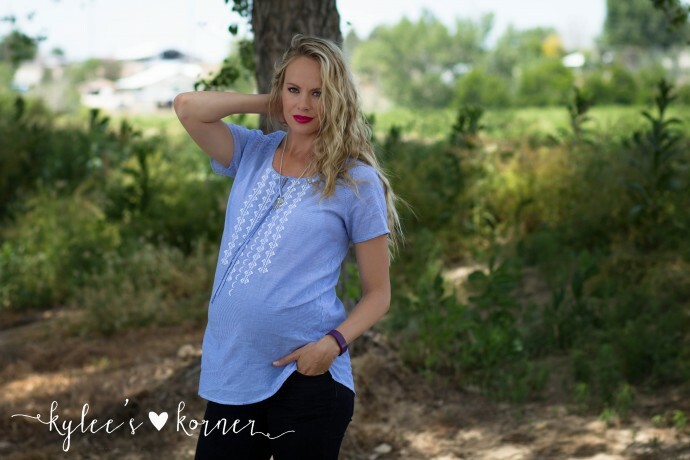 Maternity Clothing For Tall Women! Hi there! I know that it has been a hot minute since I last posted so I thought I would hop on here and share what has been going on. As most of you know shortly after we retuned from California I started contracting super bad and ended up in labor and delivery at 33 weeks. They gave me a shot and loads of water to stop the contractions and then sent me on my way. Fast forward to 37 weeks and my contractions hadn’t stopped, my doctor decided to check me to see if the contractions were dilating me or if they were just braxton hicks, sure enough I had been dilating and had also effaced to about 65% and baby boy was sitting super low. River came into the world at just past 37 weeks so my doctor and I were sure that it would be the same story with him. I prepared my hospital bag and have anxiously awaited my sons arrival but noooooo… this little guy is stubborn! I am now 39 weeks and he is so low that I have constant pelvic pressure and have to pee every five minutes (literally!) I still contract and have dilated more but it has just been a very long and slow labor apparently. He has kept me up through the nights with contractions yet here I am still awaiting his arrival. I want him to come on his own timeline but I am just so excited to see and hold him, he has been giving me so many false alarms for so long that I have become so anxious and impatient haha… has anyone else experienced this? Hopefully the next post I write for you all will be my birth story and me holding my little nugget! 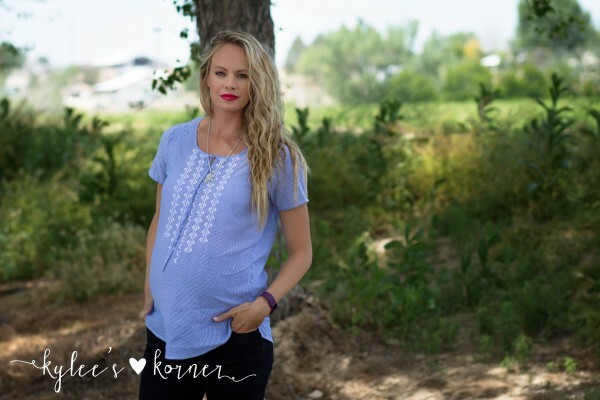 Ok so onto this post, first of all raise your hand if you are tall or just have longer legs and have one heck of a time finding maternity clothing for your longer proportions?! (insert a million raised hand emoji’s here) When I was pregnant with River I didn’t pop until three weeks before she was born and even when I popped I hardly looked pregnant, but now that this is my fifth pregnancy I popped much sooner with him at 26 weeks than I did with river. Ive always envied the adorable pregnant fashions and how cute women look in them, but for me this meant a lot of frustration trying to find maternity clothing to fit my 6’1″ frame. I started searching around and found long tall sally maternity pants and leggings. Guys! 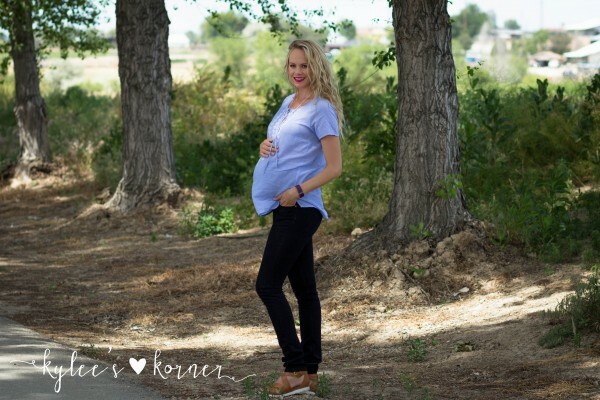 I have lived in my black maternity leggings since 26 weeks, they are so comfortable and of course flattering, as a pregnant woman I love clothing that is going to flatter my bump, am I right? 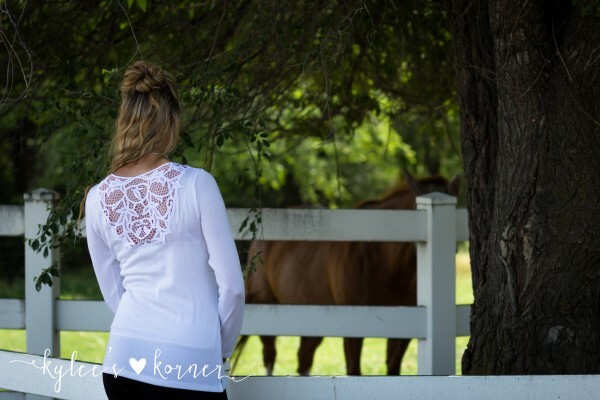 Neither one of the tops above are maternity but as you can see the length is perfect, and they will be so awesome and comfortable for my post baby body as well. I have a 6’5″ wingspan that was awesome for sports but now is something that I hate because even when I find a shirt that fits great in my torso I always have to slide me sleeves up because instead of the sleeves hitting at my wrists like they are meant to they are 3/4 length shirt instead. I love that the white blouse is long sleeve and it actually fits my long monkey arms as well! GASP! Ha.. Well Guys I hope you enjoyed the post make sure to check out long tall sally they have a beautiful selection of summer clothes! I hope all is well for you! Do you have any fun plans for the summer?